Thanks for aterdecer en nechochea to nehemias! On the Atlantic coast of Argentina in the province of Buenos Aires, one can find some of the most beautiful untouched beaches, dunes, forests, and small settlements imaginable. Here the coastal towns combine natural beauty with a wide range of activities for young and old, for the meditative and the sportive. Resorts such as San Clemente del Tuyu, Santa Teresita, Mar de Ajó are marvelous vacation spots for families. San Bernardo, Pinamar, Villa Gesell are ideal for the college crowd. Cariló, Mar de las Pampas, and Mar Azul offer peace and quiet, and the ever-popular Mar del Plata is for just about everyone. 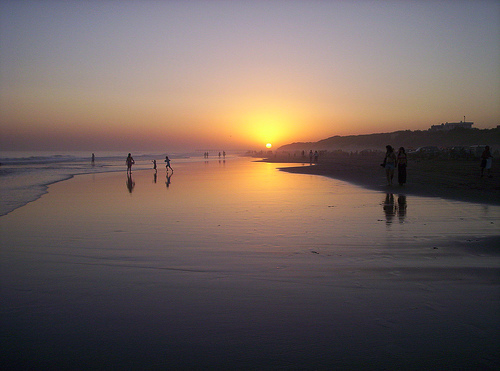 Visit the Southern resorts of Necochea, Orense, Claromecó, and Monte Hermoso, which boast the most temperate waters on coast. In each location one can find a wide variety of water activities as well as photographic safaris, hiking, horseback riding excursions, and 4×4 riding. And as with any good coastal resort area, there are a wide variety of comfortable places to stay – from four star hotels to cozy cabins. Restaurants, cafes, and pubs are there for the choosing, depending on the size and inclination of the area. With a population of 650,000 , this large seaside city was created for the middle class looking for refuge from the bustling cities. Mar del Plata faded in the mid 80’s, but was restored in mid 90’s and now is considered one of the trendiest coastal towns in South America. 400 km south of Buenos Aires, Mar del Plata boasts undulating hills throughout the city, a beautiful boardwalk, 47 km of beaches, and the San Marin pedestrian street so ideal for shopping and people watching. 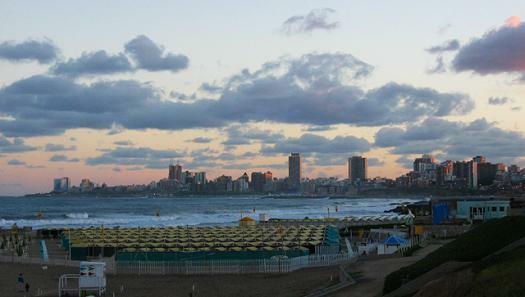 With tourism as one of its largest industries, Mar del Plata hosts many festivals, such as the National Sea Festival, numerous fashion shows featuring latest haute couture designers, and the world famous International Film Festival. Long beaches, dunes, cliffs, and ravines make this seaside city ideal for hiking, paragliding, diving, and a myriad of other sports. Ideal for families, lovers, students, and the intrepid traveler, some of the best sights to enjoy are Colon Square, the neighborhood of Los Troncos, the Harbor, Sailing Club, the crafts fair, and the sea museum. Mar del Plata is well known for its superb nightlife, which includes pubs, discos, a casino, bingo as well as theatrical plays and other types of stage performances. This page rendered in 0.728 seconds.